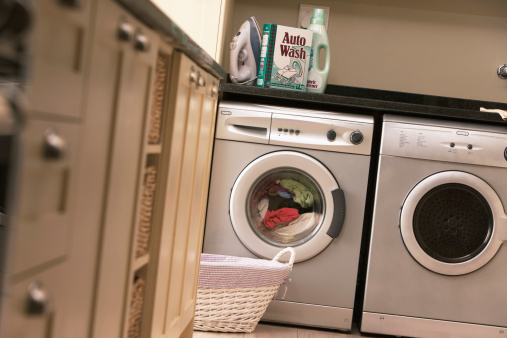 The dryer pulls fresh air through a vent on the machine and directs it through the heating elements. The heated air is circulated through the clothes in the tumbler. 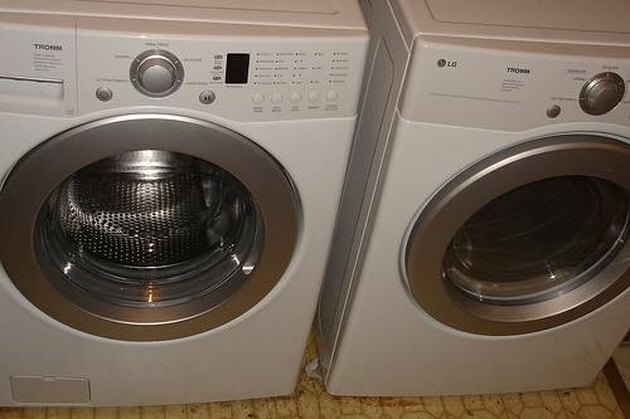 The heated air picks up lint from the tumbling clothes and passes through a removable wire mesh filter as it exits the machine though the dryer vent. This filter prevents the lint and fluff from becoming trapped in the dryer's exhaust hose. 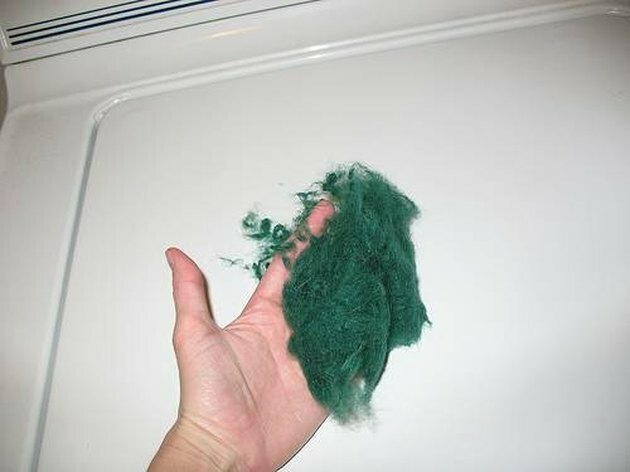 The lint trap must be removed and cleaned after every load. If lint collects on the filter, it increases the time required to dry a load and wastes energy. Denise Bertacchi is a freelance writer with a degree in journalism from Southeast Missouri State University. She is a St. Louis suburbanite who has written for the St. Louis Post-Dispatch, Boys' Life, Wisconsin Trails, and Missouri Life.